Michael Moore move over! 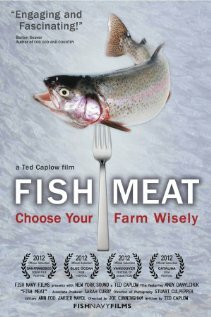 Our very own Andy Danylchuk’s documentary – Fish Meat – was accepted into the Blue Ocean Film Festival in Monterey, CA later this month (http://www.blueoceanfilmfestival.org/). This is one of the premier ocean film festivals in the world, and will be attended by folks like the Cousteau family, James Cameron, and Sylvia Earle. So if you see him walking the halls of Holdsworth in sunglasses with an entourage, you will know that he has recently returned from CA! Fish Meat will also be screening at the New England Aquarium on Oct 11, and in Holdsworth Hall during the ECo seminar series on Nov 2nd. The age of fish meat is here. Our hunger for seafood grows and grows but the seas are running out of fish. But what exactly is farmed fish? Where does it come from, and how is it made? Two friends, a fish scientist and environmental engineer, take a sailing voyage through the cradle of western civilization to pull back the cover on modern fish farming. Along the way they discover the tragedy of Bluefin Tuna and the joy of carp. The video below is a short piece entitled “Two Fish” that will prime viewers about what to expect with “Fish Meat”.